Since 2014, Premier Feed Country Supply Store in Colon, MI has been providing high-quality animal feed and home heating products at affordable prices with an emphasis on knowledgeable and friendly service. While we started out selling one brand of feed when we first opened our doors, our customers began to inquire about other brands they were looking for so naturally, our selection expanded. Our customers and their animals are the number one priority of our business which is why we have catered to meet their needs and provide the healthiest feed options available. As our reputation for excellent customer service grew within the industry, Kalmbach Feeds, a leader in nutritional animal feed since 1963, approached us about selling their line of pet foods. We’re proud to be an authorized dealer of Kalmbach feeds among the many other lines of healthy pet foods and supplements we carry. 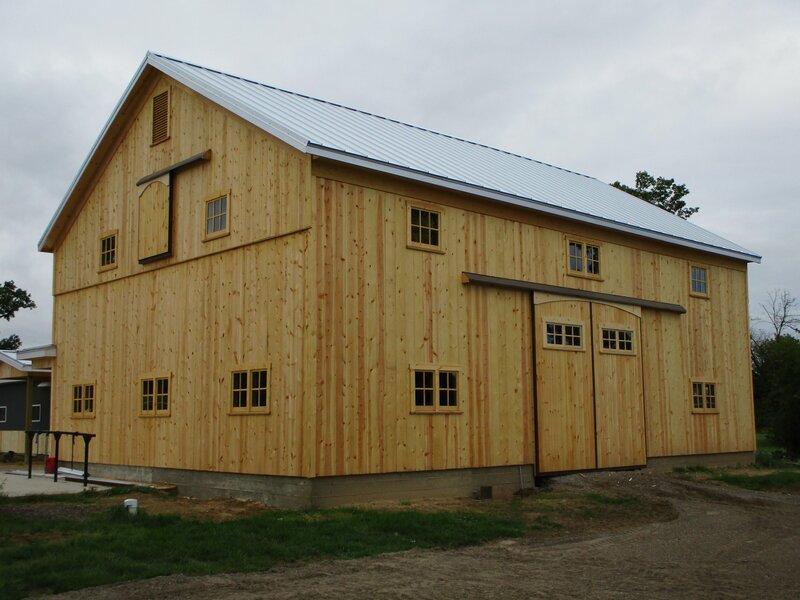 Check out our new barn! In 2016, we incorporated our father’s business into our line of feed supply and started selling Blaschak’s anthracite coal as an environmentally and cost-effective heating supply option for the residents in the community. As the coal side of the business heated up, we expanded the home heating side of things by bringing in Hitzer stoves to sell alongside the coal. By offering an energy efficient heating source along with our environmentally-friendly coal, our customers can enjoy savings on their heating bills and stay toasty and warm throughout the winter. We’ve expanded our selection of Hitzer products to include wood burning outdoor fire and bbq pits and water pumps. All of Hitzer products are handcrafted, high-quality pieces built by the Amish that are proven to provide long-lasting reliability. Along with our feed and heating products, you’ll also find a selection of outdoor rubber mulch products from Endura that provides the perfect footing for playgrounds, home landscaping, business areas and more. In 2018, due to our growing customer base, we started to offer delivery service within a 25-mile radius. Our success in a short amount of time is due to our wonderful clients who we continue to go the extra mile for with services such as our delivery option. We truly believe that by providing knowledgeable and expert customer service, we will continue a successful business of providing the best for you and your pets.